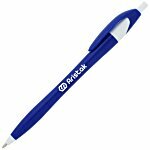 If you’re looking for popular promotional products, check out multi-purpose tech giveaways. 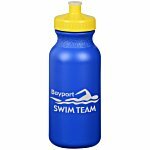 As their name suggests, multi-purpose tech products combine a variety of technology tools into a single promotional product. That’s one reason they are so popular. 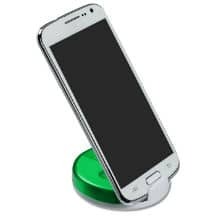 When tools such as phone stands, devices cleaning cloths or brushes, earbuds, styluses or other technology tools are combined into a single product, recipients feel like they are getting an even more valuable giveaway. 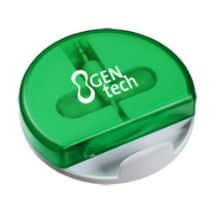 Likewise, products like the Snippet Phone Stand Stylus Key Tag aren’t widely available in retail stores, making them sought-after promotional products. Multi-purpose tech products have another benefit. 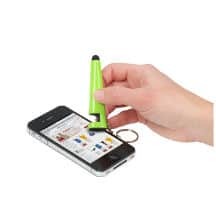 Because this tool is used as a phone stand, screen cleaner and device stylus, recipients will see your logo again and again. 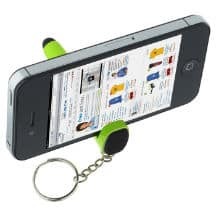 The Ear Bud Phone Stand is another take on a product that multi-tasks for mobile devices. As its name suggests, this phone stand includes ear buds in a unique carrying case. 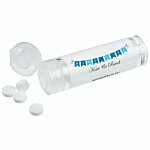 Choose these as your giveaway and your brand will contribute to cleaner desktops everywhere. Not only will desktops be cleaner, they’ll be more fun because this product comes in a variety of bright color including translucent orange, pink, blue and red. Just as technology is constantly changing, so, too, are multi-purpose tech product combinations. The 3 in 1 Tech Pouch is one example. 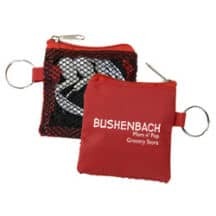 These handy promotional items feature your logo on the key ring pouch. Inside the pouch, ear buds, a cleaning cloth and a mini stylus are ready for use. Combinations and varieties of multi-purpose tech products are almost endless. Check out our entire tech category for more of these popular mobile accessories. A 2015 study by the Pew Research Center finds 2 out of 3 people in the U.S. own a smartphone and 19% report being smartphone dependent.